Ever since i had picked up the book, “Pagan Christianity” and read the first few pages i eagerly waited to write about it. Pagan Christianity is one of only a few books that i have read in my life that has profoundly changed me in the way i think about Church. I am not that type of person that is easily persuaded or misled easily. I go about things with an open mind but am very, very skeptical and idealistic when it comes to revolutionized thinking about the operation of the body of Christ. I also consider myself a creative individual but at the same time methodical. I say all that about myself because i think there’s a lot to say about the book that will strike its readers at the core of their creativeness, methodology, skepticism, and ideology. Pagan Christianity is not a book for the weak or closed minded. Pagan Christianity is not for the careless or complacent person either. This book will offend everyone in some way, but with the truth presented so well by Frank Viola & George Barna you are left with no choice but to put away your offenses and eagerly read on. Have We Really Benn Doing It by the Book? Consider these chapters the main categories because inside each of these chapters are even more specific sub topics. What Frank Viola and George Barna must have done is somehow wipe their memory of anything they can remember about the event we call “Church”. As they do that, they present historical facts and scripture to present the idea that we are pagan Christians. All our traditions, rituals, habits, things that seem so normal have now been researched to show their roots in historical pagan culture. As i was reading this book my mind was turning the whole time, “what’s wrong with that practice?. . . How can we do without that?” But then i started thinking, “Well, why can’t we do without it?. . . there’s no reason that we must have it. . .Then why do i feel so tied to it?” Looking back I found myself defending and rationalizing our common traditions in the Church, but before long i began to ask myself why am i defending a practice that is not set in stone in the bible? Offended people are really just shocked people that have no real argument to stand with their feelings. Making a decision based on our offenses is probably the most blind sided thing that we can do, and i didn’t want to do that, so i read on with an open mind. Pagan Christianity is the type of book that some would call, “throwing the baby out with the bath water”. 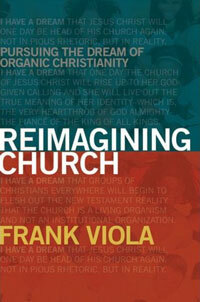 Frank Viola & George Barna wipe the slate clean of what we understood to be the formula we call the Church event. You are left standing there just shocked, confused, and perplexed as everything you witnessed, and saw as Church is thrown out completely; and all that is left is an empty tub of just bare bone fellowship, and communion of a body of believers. This book had an experience on me that i cannot express in enough words on this blog. I will bring more in the next few days because this was just my introduction to Pagan Christianity. 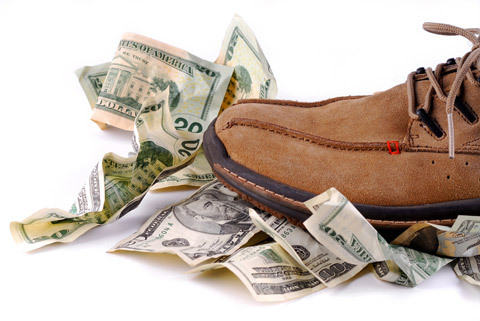 I will probably write my thoughts about the chapters in the next post, but plan on writing a different post just on tithing and the clergy salary. I would urge everyone to read this book. This is the book that people will love or they will hate. But i guarantee you cannot put this book down after reading and not somehow be shaken up by its pages. P.S. By the way if you purchase the book make sure you buy the revised and updated version. Have any of you read Pagan Christianity? Has it impacted you at all? Or do you think it is not worth reading at all? Hi, if you are interested, I am posting a 5 part interview with both George Barna and Frank Viola. Please feel free to pass the word and share your thoughts. What I found intresting was that each issue is traced back to its roots of origin. They did a great job then examining them in the light of what the New Testament actually teaches. If you have not read it you would be surprised how many traditions are NOT New Testament practice, but rather, traditions rooted in paganism. Today, what we assume as “normal Christian practices,” would have been strange aberrations for first-century believers. As an Online Pastor, I really encourage Christians to know why they do what they do. 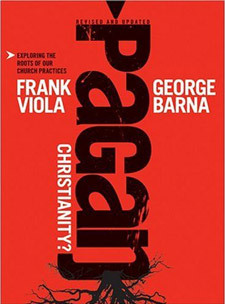 I just started reading “Pagan Christianity” this morning (1/11/2014). Part of me says I shouldn’t read it but the other part says to read it. Even if the book isn’t true we owe it ourselves to check it out and see where we as a church have gone wrong and try to right in a loving way. I for one would want true worship of my savior and not some pagan stuff.